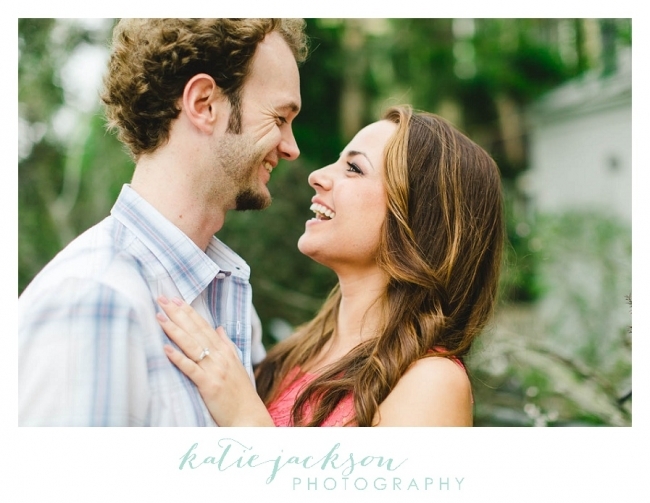 Why are all the couples that I get to photograph so darn sweet?! Natalie and Tommy were no exception. They are fun, happy and constantly smiling. But then again of course they were! They are friends with one of my 2014 couples Britney and Aaron! We met in Venice, CA for their engagement session and I was in LOVE with the variety of backgrounds I had to work with! Colorful homes, cute boats, beautiful bridges, and the ocean just blocks away? What more could we want?! Well, other than the sun, absolutely nothing! (I had met with Natalie and Tommy before their engagement session to discuss plans and Natalie and I talked about how much we love the sun. Then on the day of their engagement session, the sun decided that it would be the ONE day where it wouldn’t come out. Thanks Sun.). 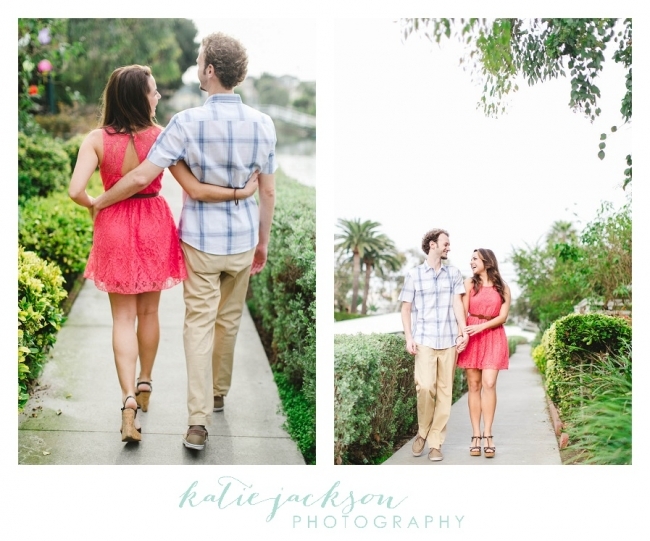 Although we didn’t have any sun, their session might just be one of my favorite ones yet! Enjoy! Oh my goodness they are so cute! And then we got to play with Tommy’s awesome awesome awesome vintage /old-school/cool VW Squareback. The sun came out for exactly 3 minutes. I kind of have an obsession with this flamingo house. You have to be pretty cool to have metal flamingos creating the fence around your house. Then we ran to the beach to catch the last bit of light before the sun dipped below the horizon line. I love this next one so so much! After the sun went down, we had a chance to take a few epic night shots on this bridge. Could Venice be any prettier? !